A couple of weeks ago I was invited by Summer to visit her salon in Horsforth to try out some treatments. I've been chatting to her for a while now and have been wanting to meet up forever, as I had no other plans that week (apart from sunbathing during our heat wave) I popped over to see her on a Friday afternoon. Pretty Salon is just that, it's set back off the road too which gives it a real hidden feel. The salon specializes in eyebrow threading (for those who don't know threading is when thin, twisted cotton thread is rolled over the hair to remove it, usually done for lines at a time) which you can have done for as little as £6, they also do threading on all other areas on your face too. Eyebrow threading is quite painful, for some people at least (myself included) but i think you get nicer results than with tweezers. You can have other salon treatments such as waxing, manicures, skin treatments, head massages and so much more. It's a lovely little salon with a small number of girls working there and it just feels like you're popping round to a friends for tea! 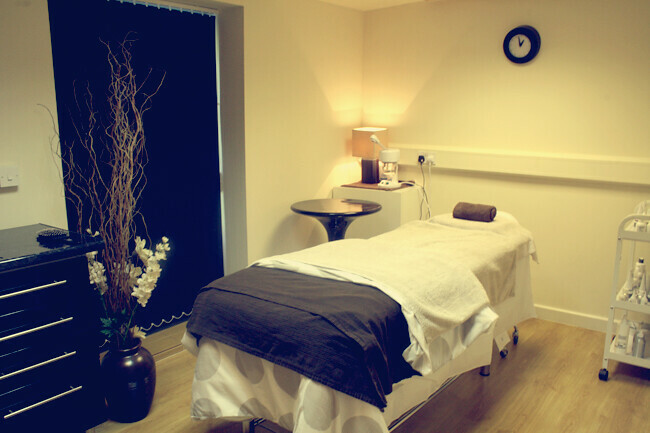 Whilst I was there I had my eyebrows threaded (I didn't think my eyebrows were bad at all until afterwards) I then had a facial in the treatment room which was just incredible, the atmosphere was very calming. The salon uses Dermalogica products which are renowned for being fabulous and my skin felt amazing for days afterwards. I then had a head massage which was probably the nicest thing I’ve ever had done, like it was just amazing. I could have happily stayed in that room for the rest of the day! A lot of the treatments are such amazing value for your pennies, I know a lot of salons charge through the roof but here it's just loose change. You're giving yourself a treat without having to spend a fortune and I really like that! It's just a friendly place to be with a professional touch. If you're ever in the area you should totally call in to Pretty Salon, even if it's just to say hello! Summer is one of the nicest girls I’ve ever met and I promise she'll be so welcoming you'll feel like a princess! I've heard a lot about threading, it sounds so painful! How was it for you? the idea of threading doesn't sound too great to me, i get really weird about those sorts of things. Although I was alright with waxing my brows, soo who knows! I'm starting to think its about time I let someone else loose on my eyebrows, I've heard threading is really good!